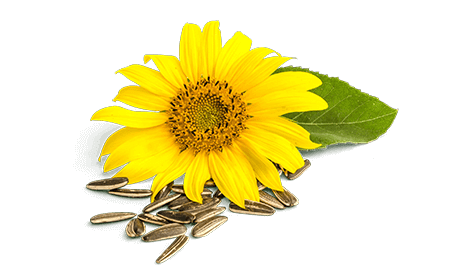 Organic Sunflower oil is a vegetable oil which is extracted from the seeds of sunflowers. This oil is commonly used in the kitchen. You can make a delicious dressing with this oil, but it also makes a good base for mayonnaise. This oil contains high levels of unsaturated fatty acids and is highly heat resistant. Sunflower oil can be used up to a temperature of approx. 175°C. Ukraine and South America supply the majority of all sunflower oils. Sunflower oil is a clear, golden yellow oil with a smooth flavour. Sunflower oil is suitable for many culinary uses. The oil is able to withstand high temperatures and is therefore suitable for frying and deep frying. Because of its neutral flavour, this oil is also ideal for mayonnaise and dressings. Sunflower oil is a thin liquid, pure vegetable oil that contains a high level of unsaturated fatty acids. Keep at room temperature 20 degrees and protected from light. Close tightly after use. For shelf life of each product, we refer you to the page packs.